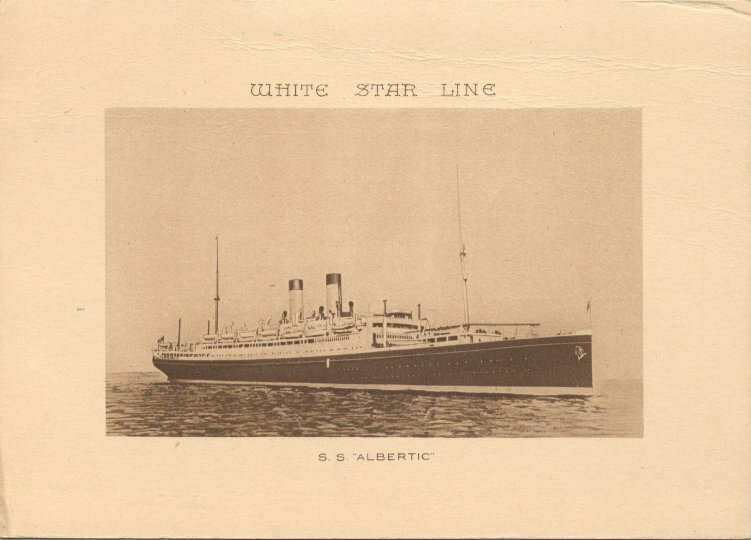 Laid down in 1914 at A.G. Weser, Bremen, the ship which eventually became White Star's Albertic lay unfinished at the yard until World War I ended. Construction resumed in 1919, and she was expected to become NDL's Munchen, but she was ceded to Great Britain as a war reparation after her launch in 1920. 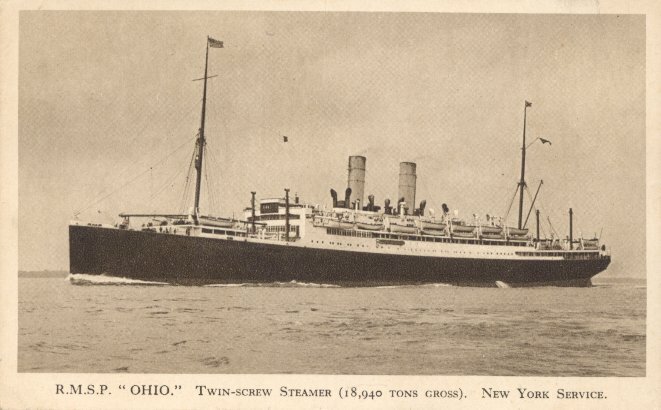 She was then purchased by the Royal Mail Line and, after three years of fitting out, made her maiden voyage as Royal Mail's Ohio on 3 April 1923, from Hamburg to New York via Southampton and Cherbourg. 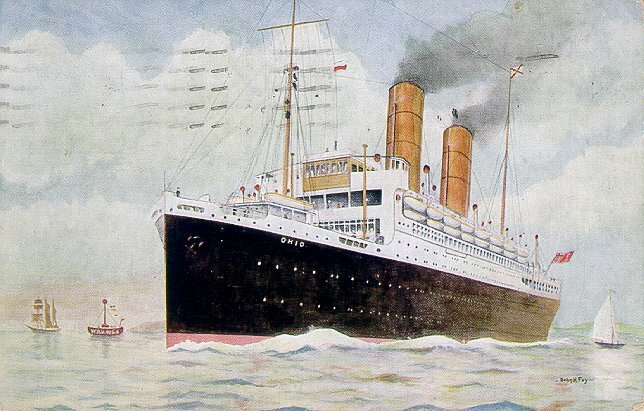 Royal Mail's Southampton-Cherbourg service was terminated when Royal Mail acquired White Star in late 1926. 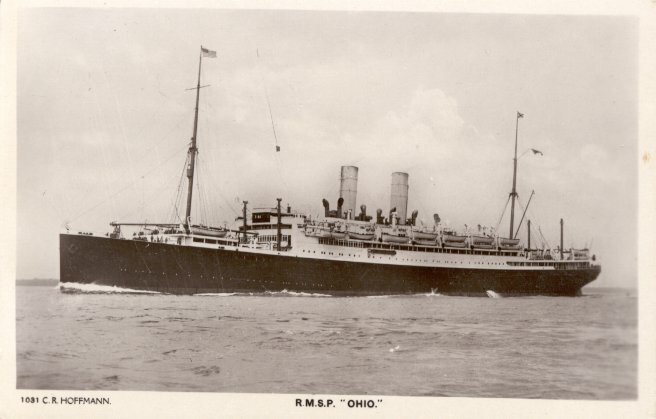 Ohio was then sold to White Star, renamed Albertic, and placed on the Liverpool-Canada service, making her first voyage for her new owner in April 1927. 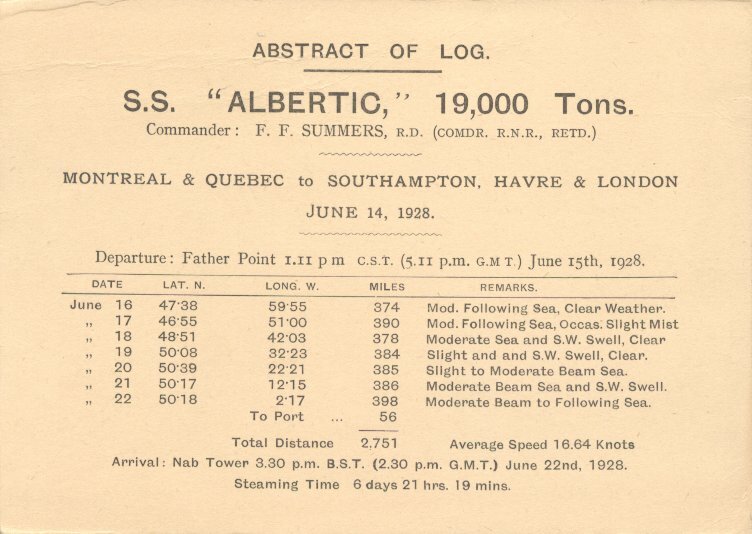 In 1928, she moved to the London-Canada service. 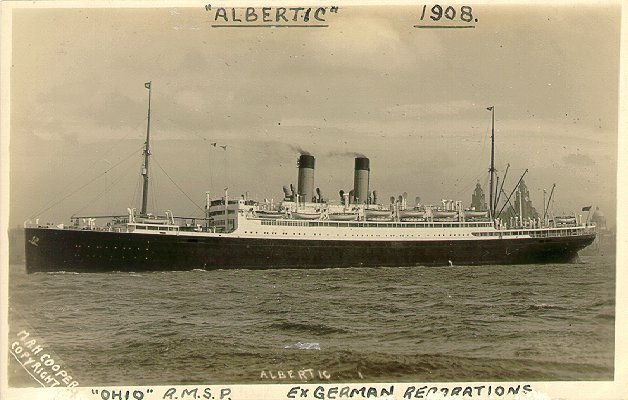 A year later Albertic replaced the wrecked Celtic (II) on the Liverpool-New York service, but she returned to the Canadian service in May 1930. 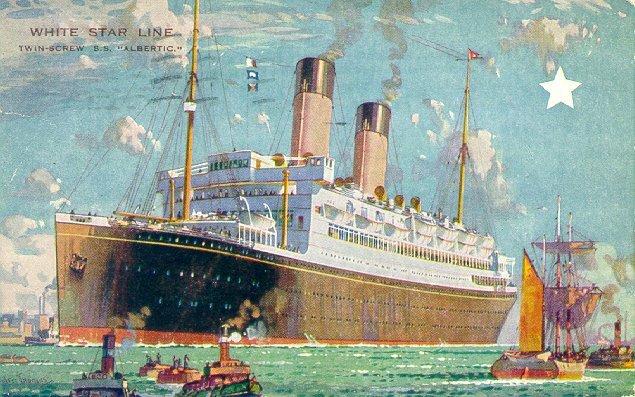 Although some sources say or suggest that she remained in regular service until 1933 and was also used for cruising, there is no record in either The Times of London or The New York Times of her being used for any purpose after a 29 August 1930 roundtrip from Liverpool to Québec and Montréal. She seems to have been laid up in the Clyde soon after her return to Liverpool in September and never used again. 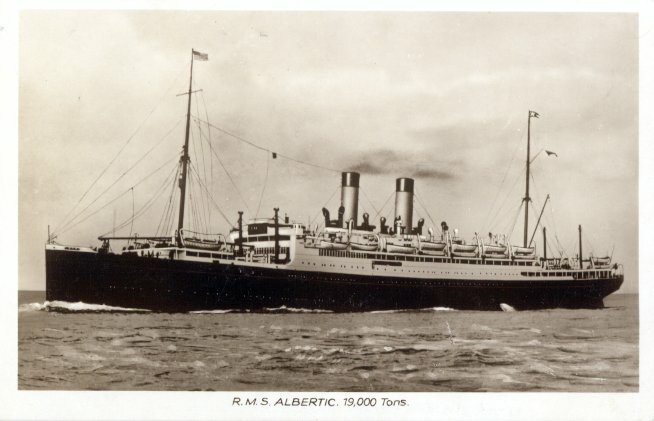 Albertic was one of ten White Star ships transferred to Cunard White Star in 1934. She never sailed for the merged line, however, and was scrapped in Japan later that year. Sources: Bonsor's North Atlantic Seaway; Haws' Merchant Fleets; Kludas' Great Passenger Ships of the World; The Times, London, and The New York Times, various dates from 1930 to 1933.